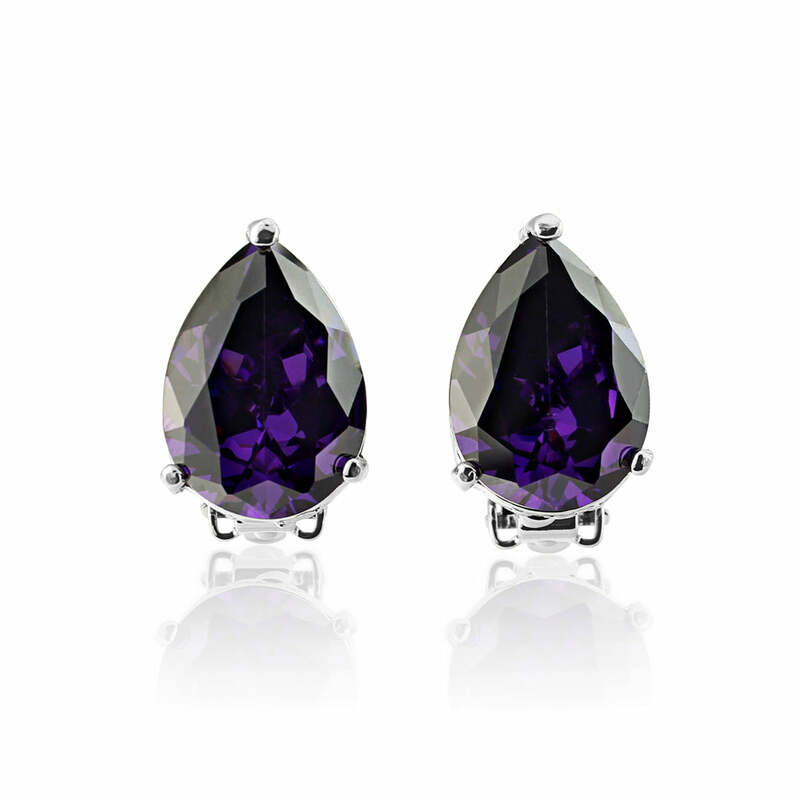 Make a statement with plush purple tones with our timeless 1940s style clip on earrings. With an entrancing depth of plush purple, our Amethyst Allure Clip On Earrings are both on-trend and classic. Featuring a bold pear cut cubic zirconia, their simplistic design is contrasted by their dramatic colour for a style that makes a statement from day to night. Perfect to add a touch of luxury to a chic cocktail dress, dress up a trouser suit or give a floor-sweeping evening gown a hint of understated glamour. Whether your birthstone is amethyst or you just adore the decadant hue, this stylish clip on earrings will inject a burst of colour into the simplest of outfits. Gorgeous bridesmaid earrings to enhance a purple wedding theme, Amethyst Allure look fabulous teamed with amethyst, lavender or lilac dresses for a tonal look or bring your colour scheme together with 'maids carrying a bouquet in this gorgeous shade.